If you want to be a part of the 2014 team for the full ride, a few weeks or even just one day you can Learn more here! If it just won’t work out for you but you still want to help, consider joining as a Virtual Rider. A year ago I never would have guessed I’d be leading a team of amazing people on a bike ride across the country–although it sounds pretty cool, it was definitely never in the plan. However, as Millard Fuller often said, "a planned life can only be endured". After the 2013 Spring Ride and the awesome 3,700 mile journey we took from Savannah to Vancouver last summer, I can now say from personal experience that Millard was right. I could not have planned a more fulfilling and joy-filled path on my own! So, I’m excited to stick around and work to make this amazing ride happen again! Last year 80 cyclists collectively biked more than 80,000 miles, helped re-build 20 homes in partnership with families in need, and raised more than $140,000 to support the Fuller Center’s mission to end poverty housing, all while seeing their own lives change in the process. I’m excited to do what I can to help this adventure grow and change more lives, and I’m even more pumped to get to witness another year full of the miracles, small and large, that make this incredible journey such a success. I’d like to say "thank you" to everyone who played a role in all of those miracles last year; whether you biked, hosted, cooked, donated, or prayed, we couldn’t have done it without you. Likewise, I want to invite everyone reading this to get involved in 2014… even if it’s not in the plan! See you on the road! When God led ​us to launch the Bike Adventure in 2008 with our first cross country ride, He gave us a big vision for how it could impact the world, and by grace it has. But I had absolutely no clue how much of a blessing it would be to me personally. How lucky am I to get to be part of this every year? I treasure the time spent with the other riders, our Covenant Partners, and our church hosts. 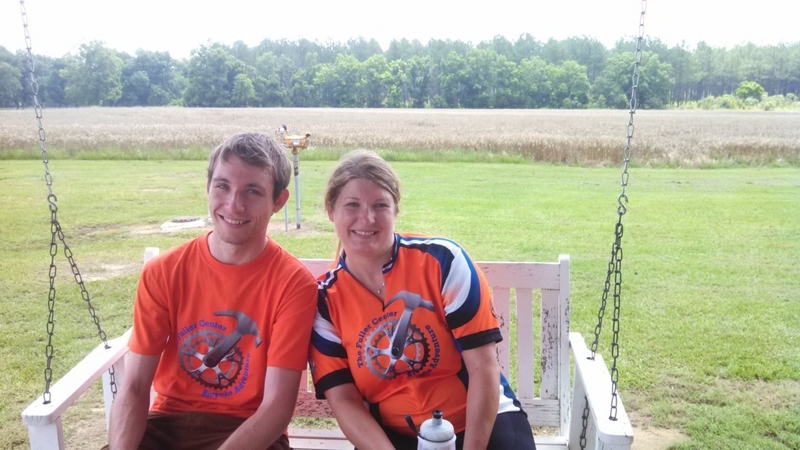 After six years and something like 14,000 FCBA miles, this summer’s ride will be a first for me as I ride…on a tandem! My wonderful bride-to-be Jisun Lee and I will be tackling this together. With her providing the power, maybe after all these years I’ll finally be able to keep up! Having participated as a Fuller Center Bicycle Adventure 2013 whole way rider inspires me to do this again, however I may. I’m not quite sure at this point what amount of time I will be able to contribute, but have committed myself toward the goal. Last year I had an overwhelming desire to bicycle across America as a personal accomplishment, and did so; though found inspiration not through my effort, but from all the wonderful people throughout this land. My contributors, fellow riders, and the church members/communities supporting us along the way were models for how I should live my life, and hopefully will lead me to inspire others as they did me. I was shown that as an individual I am limited in what I can do, but our combined efforts, however modest, are infinitely multiplied when directed under guidance the Fuller Center for Housing provides. I encourage you to join me, to join all of us in any way you can. We’re delighted to welcome you as a rider, or you can join us with an offering of support. Your uplifting word, a place to rest, a dish of food, or financial contribution have an immeasurably compounded impact toward providing comfort for those in need. The riders’ needs are modest, provided for by our personally paid fees and communities along our route, but the need for decent shelter throughout the world is immense. That is where your dollar goes- buying a cornerstone on which we can build a better future for all of humanity. The Fuller Center for housing changes lives through providing affordable housing for families, through providing me the opportunity to drive a nail into that house, and through giving supporters purpose by the simple act of providing. Please help us, and you may find what I have in this noble effort. I am an avid long distance cyclist. I rode the Fuller Center ride in the spring of 2013. It was such an amazing experience! I have always said you meet the nicest people on a bike, well these were the cream of even that crop. The people on the ride, our hosts along the way, the people whose homes we worked on, they were all so wonderful! After the ride was over I could only describe it as a retreat on steroids and a bike, or a bike ride on steroids with a retreat. We didn’t discuss our faith overly much, but Christ was definitely present all around and amongst us. I hope by riding and raising funds for a home in Sierra Leone I can make a bit of a difference in the world. With your help I know we can! Please consider joining in on the ride or making a donation to support me or any of the other riders. The Fuller Center for Housing is a wonderful organization trying to change the world one house at a time. What better goal could there be? Hi! My name is Jenny. I Love God. I have been training here in California for different triathlons/races and causes since 2010. I’ve followed The Bicycle Adventure for that last two years aching to be out there meeting America, having a blast, spreading good news and helping out where it’s needed on the way. I am getting married in November and my soon to be life mate aka partner in crime, Greg Zeroun, will be riding as well! We are ecstatic & thrilled to be able to take this adventure for a great cause and raise funds for our community in need! All I’ve ever remembered being was the "fat friend". Growing up I never really had any fitness goals or aspirations. I was a Boy Scout and got some hiking and outdoorsmanship in but never anything worth talking about. After I aged out of the scouts I hardly exercised at all. Jenny and I started dating 8 years ago and went down a rabbit hole of over eating and just poor choices. We both gained weight and were very unhappy. About three years ago Jenny was encouraged by her mom to try running a 5K (3.1 miles) with the Mermaid Series of all women’s athletic events. After training for and successfully summiting Half Dome in September of 2010 Jenny completed her first 5K in November of the same year. She quickly registered for a 10K to keep the momentum going. I was very impressed with her success and a little bit jealous to be honest so I started running to catch up. We started falling in love again with fitness and each other. Not to say that we are fitness nuts but we have a more devoted interest in not being overweight with high blood pressure and at risk for diabetes in our 20s. Every year since 2010 we have set higher and higher goals for ourselves. 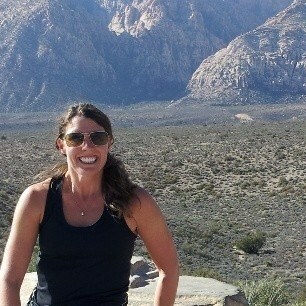 In 2012 Jenny set a goal of running 12 half marathons (13.1 miles each), she completed all 12 with the addition of an 18 mile run, two Olympic distance triathlons (.95 mile swim, 25 mile bike, and 6.1 mile run), and 3 5K’s. I joined Jenny for 6 of the half marathons, one triathlon and all three 5Ks. It’s safe to say that we were firmly entrenched in a new life style. This year Jenny raised the bar and raced a half iron man distance triathlon (1.2 mile swim, 56 mile bike and 13.1 mile run) we started training together in January for her race in September. Along the way we both completed the Morgan Hill Reservoir Olympic distance triathlon and two more half marathons. Just a week after the half iron man we set out to summit Half Dome together as I was unable to make the journey before. Little did Jenny know that I had a surprise for her when we arrived at the top. At sunrise at almost 9000 feet I asked Jenny to marry me. Now we are raising the bar again as a team! We are so excited to hit the road and meet and serve people across the country. To me this journey is all about improving myself physically and spiritually by helping others in need. My father was Millard Fuller’s cousin, often sharing with me stories of how they grew up together. I personally met Millard when I was in my 20s and had the opportunity to spend more time with him through our local Chattahoochee Fuller Center Project. My Dad passed away in 2007 and our family sponsored a house in his and other family members’ memory for the Millard Fuller Legacy Build 2009. Fuller builds have become a family affair, with my husband Jeff helping on another build in 2013 and his father providing building materials. I am fortunate enough to work with a company, InterCall, that has been involved with the Fuller Center since 2007. InterCall has provided sponsorship in many ways over the years including providing volunteers every year for builds and a full home sponsorship last year. I met the Fuller Center Cyclists when Chris Cosby rode the West Coast 2012 and his donations helped sponsor our home. My coworker and close friend Traci Crosby, Executive Board Member and Volunteer Coordinator, thought it would be a fun if we surprised Chris in San Diego at the end of the 2012 West Coast ride as a way of thanking him. It was there we met all the riders and helped on the San Diego build. I was amazed at their accomplishments and completely inspired by all the riders! 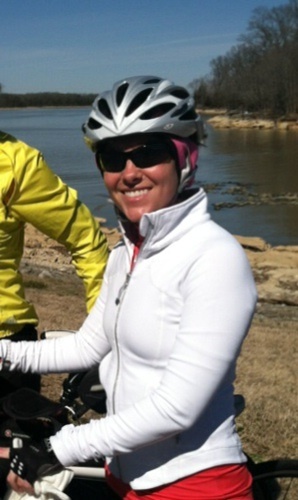 So inspired that I am joining in on the Spring Ride and at least one segment of the Summer Ride. I’m just a regular guy from Parma, Ohio. This is an opportunity to help my fellow man, see the country from the Atlantic to the Pacific, and all on a bicycle. Sounds like heaven to me. Returning 2009, 2010, 2011, 2012, and 2013 Fuller Center cyclist! Hi. I am Susan. This will be the sixth trip I have done. I am a teacher and would not choose to spend my summer months any other way. Yes, is work, but all the sweat equity is being directed toward such a wonderful cause—-poverty housing. And, all the donations made go directly toward that cause, We live simply for the entire time, sleeping on the floors of churches and never knowing what is ahead of us. But, I must say that each and every community we have visited has been so wonderful. They continue to verify that there is so much kindness and generosity in the world. Often they meet us with a warm meal and showers, but the warm smiles are enough to fill my heart. Each year I go, witness so many acts of kindness. I believe it is our efforts to get on the bike every morning (sometimes at 5 am) that inspires others to give back as well. I believe that there are two difficult parts to this trip. One is trying to raise money. Others are so willing to give. I just have a difficult time asking. And, the second part is saying good bye to all the fellow cyclists. We get to know each other so well. And, no matter are differences, our ages or our professions, we work together as a team….actually as a family. Like I said above, it is always tough to say good bye. But, I have learned that it is not good bye forever. It is just until we see each other again. 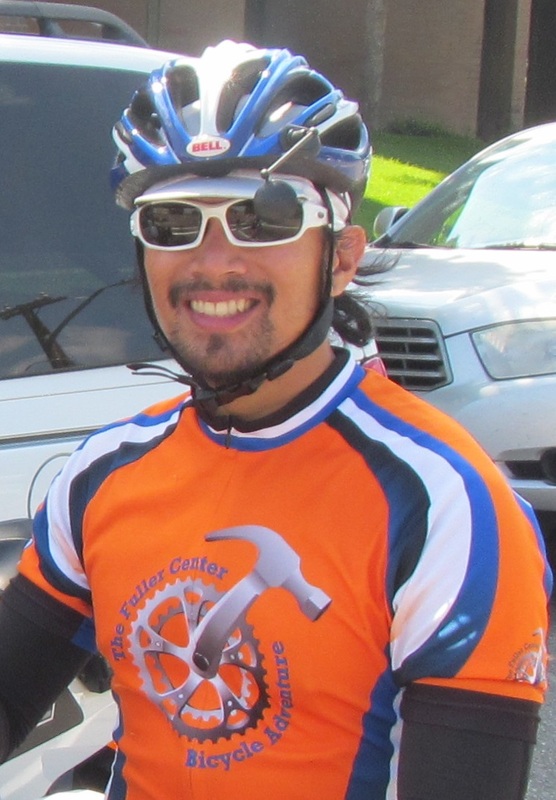 I am a teacher in the Chicago Public School system and first heard about the Bike Adventure through Ryan Iafigliola, with who I attended Padua Franciscan High School in Parma, OH, and the University of Notre Dame in South Bend, IN. I have been, in addition to a teacher, a chef at various restaurants in Chicago and Nashville, TN and a nonprofit professional with the charitable organization Common Threads. I wanted to do the bike ride because I am inspired by the Fuller Center’s mission and "unrelenting quest" and impressed with their international scope and efficiency. My biking experience mainly includes surviving the streets of urban Chicago, so while I will have to adjust to the distance of the trip, I do bring extensive experience in the arenas of taxi-dodging and angry yelling and gesticulating. Returning 2012 West Coast rider! Hi! My name is Dan Zassick! I live in Louisville, KY and this is my second time riding with the Fuller Center Bicycle Adventure. I am a returning student at the University of Louisville and a helicopter pilot in the Army Reserve. My first FCBA was on the West Coast ride in 2012 and had an amazing time and couldn’t wait for the chance to come back and ride again. I’m really looking forward to seeing so much of the country from the seat of a bicycle! Returning 2010, 2011, 2012, and 2013 Fuller Center Cyclist! For the last four years, I have been blessed to be a part of the Fuller Center Bike Adventure. It has given me an appreciation for the magnitude of this country and its beauty, the wonderful potentials of a community working together for a common goal, and how God is at work using everything, even a bicycle. This is all a fancy way of saying, "These trips are awesome. I have met so many wonderful people and God has done amazing things!" With that in mind, I decided to approach this year’s ride a little differently than in the past. Until this point, I have participated in these trips as a cyclist. However this year, I am trading most of my time on the bike to pursue what I believe God is calling me to: Telling the stories of what He is doing. Which means, I will be one of the communication interns! Though I love cycling, I also love to write and take pictures. The work of the Fuller Center and this trip bring all of these together. I am privileged to be a part of this family and I look forward to telling everyone we meet about why we are riding, who we are and what God is doing! I hope you will join us in this awesome adventure! Feel free to check out my blog sarahdcycles.blogspot.com for updates and stories from the present and years past. 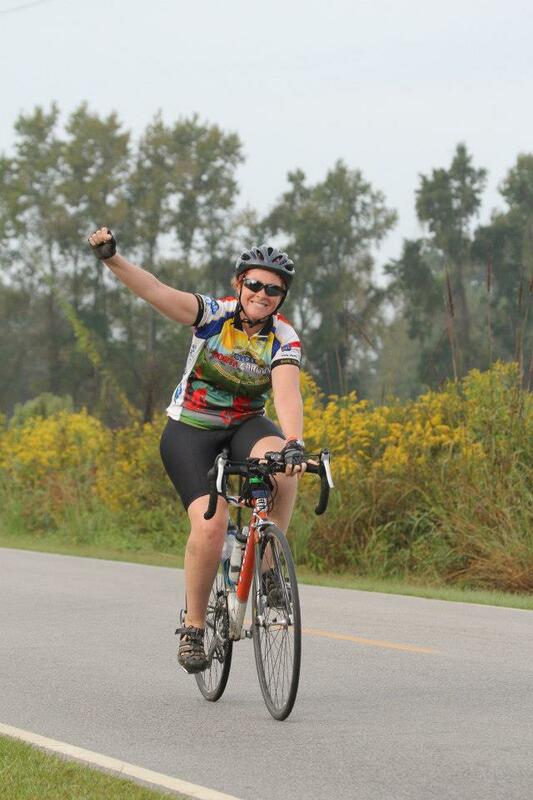 The 2014 summer ride will be my fifth Fuller Center Bike Adventure. Looking forward to another cross-country trip, and getting a few of the 2012 west coast riders back out there. No better way to spend a couple of months with friends. In 2013 I rode the spring ride with my son and 14 year old granddaughter, which was a very special treat for me. In the summer, I rode less than half of the cross country route, and supported the ride with my personal car for the rest of the trip. It started in 2011: I was selfishly looking for a way to ride across this great country of ours, when I discovered the Fuller Bike Adventure, so I signed on for that. After getting a first hand look at a couple of build stops, and what it means to the families that we help, it was no longer about the bike. I realized God had directed me to the Fuller Center, and this was going to be my way to give back the many blessings I have enjoyed. I now consider myself a riding ambassador for The Fuller Center for Housing. 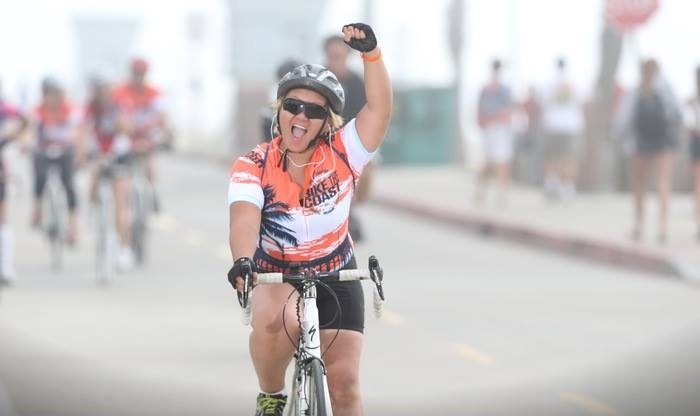 In 2012, I rode over 4,000 miles for Fuller Center: the spring ride, the East Coast ride, and finally the West Coast ride. It was a great year for me. I rode, I talked to church groups, I talked to individuals, I helped at build sites, and I raised money for the Fuller Center. One day on the East Coast ride I celebrated my 70th birthday by riding 70 miles. 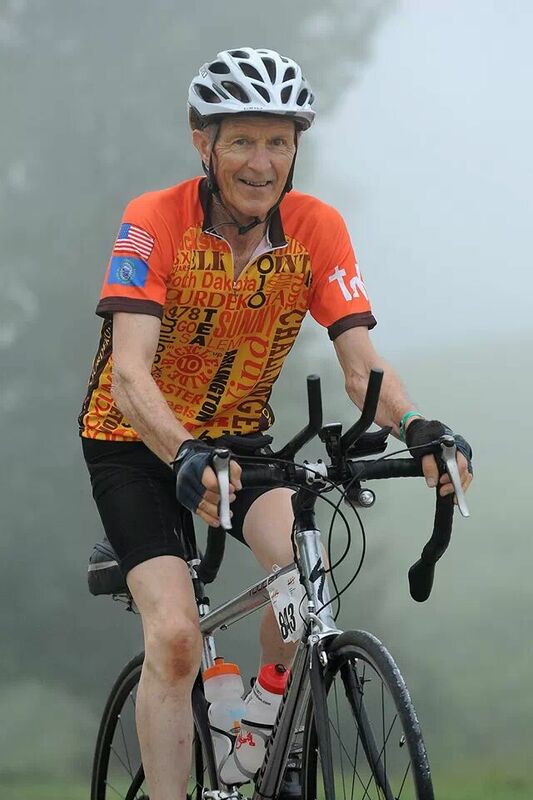 This year I will be 72, and I plan to ride the spring ride, and support the summer ride, the whole way, with my personal vehicle. I wrote about my biking adventure with FCBA the last three years on my blog, geezerlog.blogspot.com, and will continue writing as I prepare and ride in the 2014 adventure. I have traveled locally, nationally and internationally in ministry. I am an avid cyclist. Finding a way to combine my two passions, mission work and bike riding, is phenomenal. I am excited at the prospect of evangelizing and carrying the message while riding my bike. My bike riding is my prayer time, so what a wonderful opportunity to gather in fellowship on two wheels. Hi I’m Monica from Los Angeles, CA. In 2008, I was diagnosed with Ovarian Cancer and have been on remission going on 5 years now. Praise God! I love to ride and it has been in my heart to bicycle around the world for over 15 years now! Figured it was time and saw Fuller Center online! Mind you I haven’t even driven a car cross country yet alone on a bicycle, but I’m stoked! I can’t wait to see God’s beautiful creations and to meet the people in this new journey of my life! 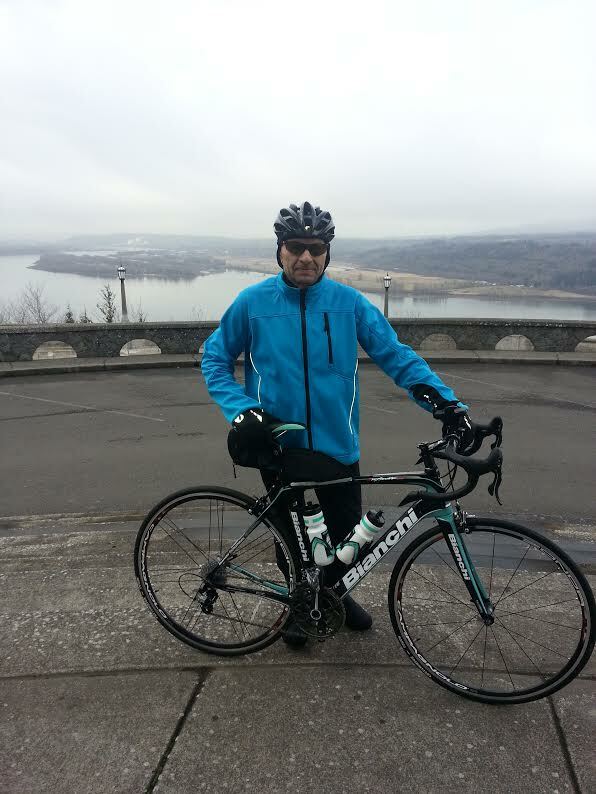 I am a Tax Accountant and avid cyclist who likes to help others. I don’t have time to bike with others over a long haul trip usually and this seemed like a good opportunity to do so. I volunteer to teach financial literacy and am active as a lector in my church. Hi! My name is Leah Spurlin. I love the outdoors and am excited about seeing the beautiful outdoors through pedaling a bicycle. Ten years ago God blessed me and allowed me to thru hike the Appalachian Trail. I was able to see a lot of amazing scenery and be a part of a trail family. Over the last four years I have found a new passion in cycling. I have a great biking community in Bowling Green and have been on two tours. 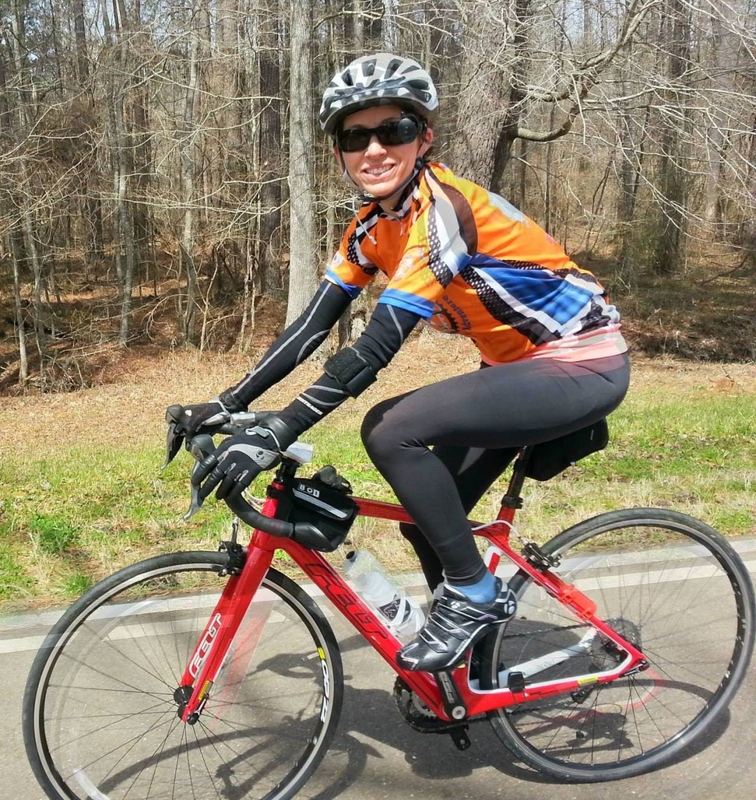 I cycled across North Carolina in 2012 and completed the Natchez Trace this fall. I am looking forward to embarking on a new journey and serving in a different way. I am Sara’s husband and am very thankful for her supporting me doing the ride. I have wanted to do an Epic ride since I was an undergrad and did a multi-day trip across Minnesota. Family and work commitments in my geophysics career at Chevron haven’t made a 9 week trip possible in the past, but the stars are aligned in terms of having earned extra time off this year. I have not given back as much as I think I should, given all I have received, so the opportunity to be a part of 7 builds makes this a no-brainer. I hate to miss 9 weeks of ice hockey, but should end up with more 3rd period endurance 😉 Ride on! The furthest I have ever ridden on a bike in one day is 30 miles. Some people may say I am beyond ridiculous to attempt this feat, but then again some people may not know me. I grew up in small town Missouri. Cornfield here, deer hunting there, you know the usual. I loved it and wouldn’t change it for the world, yet at the same time I always knew there were adventures out there for me to experience. Over the last four years in college, God has been shaping me and molding me more and more into who He wants me to be. It has been an amazing experience to behold. Three things always seem to be in the middle of where He leads me: my enjoyment from community and people, my love of the outdoors, and my desire to adventure. After my first summer in college, I was able to work at a family Christian camp in Colorado. Here the mountains were my backyard; the people I worked with were my family. I developed a new love for climbing mountains, in addition to being surrounded by people who continuously challenged me to grow and seek who I am in Him. Working here also gave me a new appreciation for what a true servant’s heart is. Humbling yourself to help others is truly a blessing. This experience impacted me so much I went back for two more summers. In college, I was able to join the newly founded Adventure club and explore beautiful California. I was forced out of my comfort zone to experience things I never would have imagined with this amazing group of adventurers. Bungee jumping, backpacking, and eating rattlesnake are just a few of the things I was able to experience and enjoy. Why am I telling you all this? It is because even though I am a small town girl who has never ridden more than 30 miles before and this may be completely ridiculous for me to attempt, that has never stopped me before. I’m an adventurer. I run marathons, climb mountains, and now I’m biking across the United States to help build houses for those less fortunate with a whole new community. As the brilliant Dr. Seuss once wrote “Today is your day! 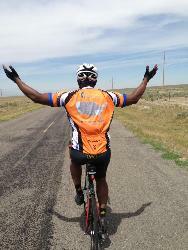 Your mountain is waiting, so get on your way!” Fuller Center Summer riders 2014, let’s do this. Returning 2013 Fuller Center Cyclist! I had such a memorable and positive experience last year as a rider, that I am back for more! 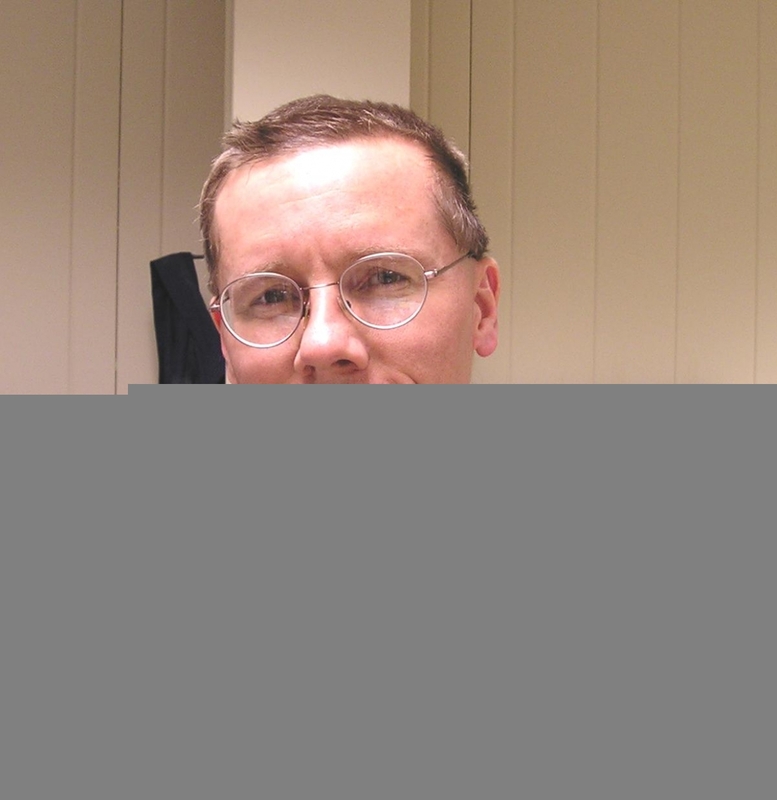 Dr. David Sperry, Professional Life Coach, Weight Loss Coach, College Professor. 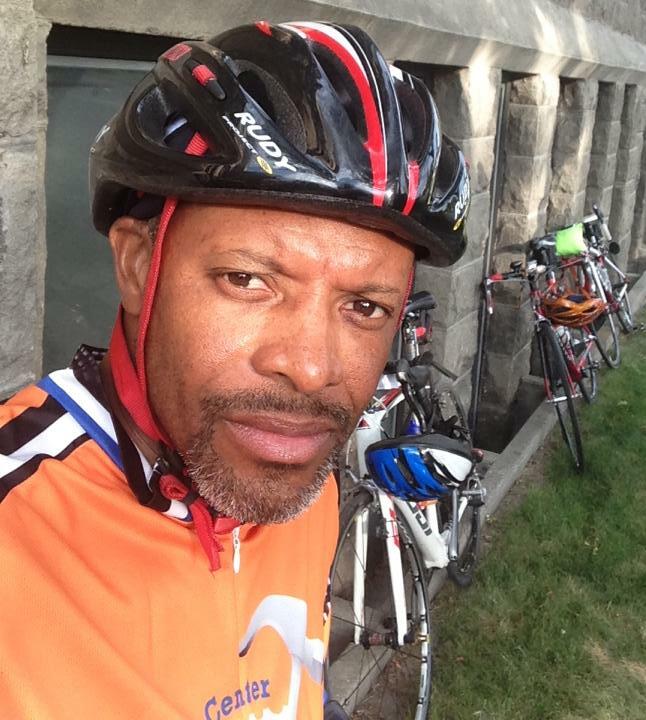 I am joining the Fuller Center ride because I highly value community service and I also enjoy riding my bike. Put the two together and … what a greater way to spend some time in the summer. Returning 2011 Fuller Center Cyclist! 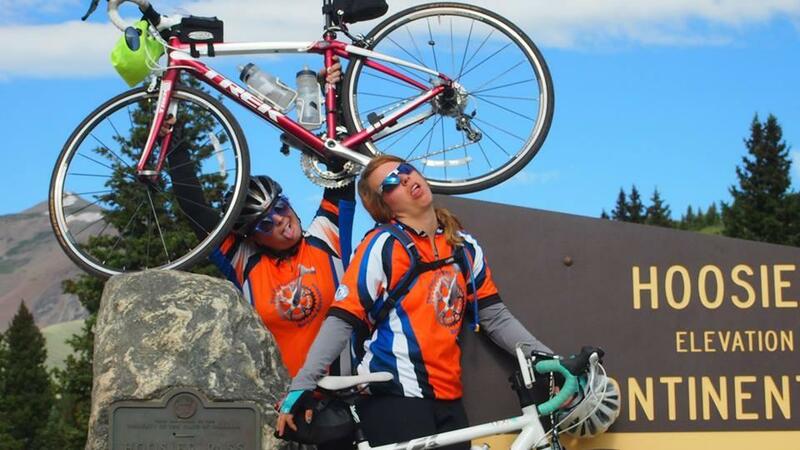 When I signed up for this ride in 2011 I wanted to enjoy the scenery through North Idaho and Western Montana by bike. It quickly became a much more significant experience as my son joined me for the build day and we discovered the satisfaction of helping another family construct a better future. During the next week I fell in love with an amazing group of people who in faith, live simply and pedal persistently to end poverty housing. Since then our local Covenant Partner has been able to complete two wheel chair ramps for families in our community and two houses in India. Not much in the grand scheme of things, but it’s a start. "Think big, start small; but start somewhere and do something!" I believe in Millard Fuller’s "Theology of the Hammer", demonstrating faith through works, and all that FCH does to provide basic shelter to people all over the world. I first heard FCH Bike Adventure when the 2010 riders stopped in our area (Manassas, VA), visited our church on Sunday, & came to our local FCH project. They inspired me to someday do a segment ride, so here I am. I have worked on various housing projects over the years locally, in several states & in two countries. I started biking to improve my health but to also use it to benefit others. FCH Bike Adventure provides that for me. I have always found amazing, positive, & inspirational people in Christian housing missions & look forward to meeting & now biking with many more. Hi, My name Is Mihai Posteuca. I live in Portland Oregon. I am 56 years old married for 33 years to Maria. I have 6 children 1of them adopted since she was two months old now she is 14 and 4 grand children. I’m very excited to be a part of my first big adventure riding across this beautiful country and also being part of this charity event helping the needy along the way. In 1979 I escaped from my native communist country of Romania. Ever since thn I was involved in charity missions, in one form or another for Romania, USA and Mexico. I do believe that in the eyes of God giving to others is not measured by how much we give but rather of how much we keep for ourselves. God Bless You All and thank you for accepting me in this wonderful endeavor. Looking forward to meeting you all. God’s speed!!! Returning 2010, 2011, & 2013 Fuller Center Cyclist! 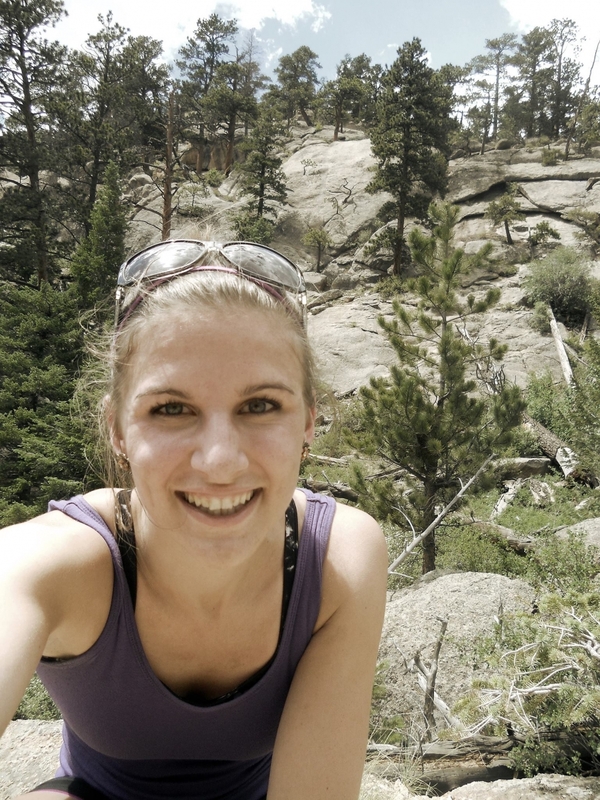 My past experiences biking across the country with the Fuller Center have been amazing! We met interesting and inspiring people and really made a difference in the lives of people in need of a decent place to live. I want to help other riders have the opportunity to experience similar things, so this year I will be parking my bike and driving the support van. I’m looking forward to seeing old FCBA friends, making new ones, visiting my hometown of Cleveland, OH and seeing the beautiful scenery as we cross the country! My name is Katie Paul and I recently graduated from Michigan State University (GO GREEN!) My biking career began when I was four years old and I begged my dad to take the training wheels off my little purple bike. It was bike day at preschool and some older kids where riding around on two wheelers and the instant I saw them, my dad claims he knew it was game over. I had my mind set and despite my his attempts to tell me otherwise, my training wheels came off that day. I rode away with ease and have been in love with cycling ever since. Although this is my first long distance biking adventure, (and honestly, growing up with mountain bikes this is my first road bike experience in general) I couldn’t me more excited to see the States from my favorite kind of seat. A bike seat! I have been so blessed to grow up in a family where even my wildest ambitions have been supported, and my ever growing walk with Christ has been fostered. I have been blessed to grow up in a house with a big yard to explore in, a table to eat at, and a bed to sleep in. When I would forget to bring my homework to school, I am grateful for the opportunity to tell my teachers “I left it at my house”. I never had to worry about not having a roof over my head or staying warm during cold Michigan winters. Every child should have a safe, warm home to grow up in. Shelter should be a right, not a privilege. I couldn’t be more excited to ride for this cause and would love for you to join beside me in support! When I registered for this summer’s adventure, Melissa emailed me back and said "You’ve caught the bug and You’re addicted now". This will be my second summer in a row to participate and "I am hooked". 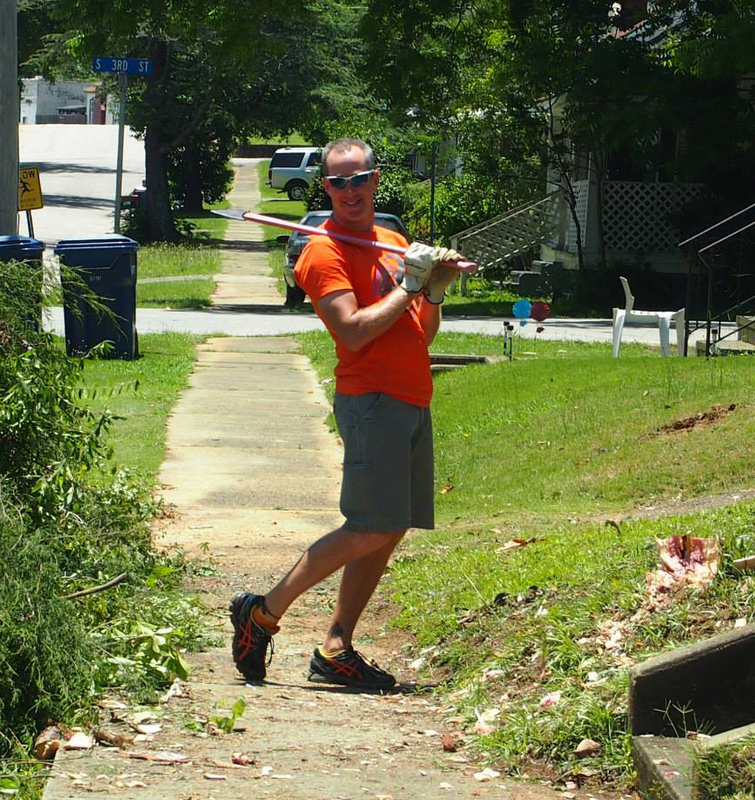 The one thing I missed out on last summer were the "Build Days", in which we participate in helping build, repair and rehab houses for the Fuller Center Covenant partners. Last year there were no partners between Salt Lake City and Boise, this year I will have four days off the bike, helping to fulfill the mission of the organization. I am a school teacher and cyclist. I am back for my 2nd adventure with the Fuller Center. Twice the distance should mean twice the fun and challenge, as well as helping others twice as much. I believe that comfortable and affordable housing is important for all people, and to help with a Christian based organization is all I needed to know to persuade me to participate in this adventure again. Thank you to all those who donated last year. Please consider helping out again this year. I am a returning rider. I have thoroughly enjoyed spending time others who want to give of themselves. There is something very refreshing about being focused a single goal each day: to complete the day’s ride. Of course, there are myriads of other thoughts going through your head as you ride, but meeting that goal each day without phones, internet, daily news and other distractions is very refreshing for the spirit. Returning 2011 and 2013 Fuller Center Cyclist! This is my third attempt at the bicycle adventure, this time for the entire trip! I had an open summer so I figured I didn’t know when I’d get another chance to bike the entire trip so I’m going for it. I personally love the mission and heart of the organization and the people I have met in previous years. One of my spiritual strengths is serving others and getting my hands dirty to help others out and so I am excited to get more time at build sites this summer!! It is so cool to see a large group of people come together and help people out even after they are exhausted from the week before and just spread Gods love in such a tangible way! I myself am I triathlete here in the state of Washington so this will be my first time getting to see the east coast and mid west. Couldn’t be more stoked to experience that and take pictures and explore cities. I love to take pictures and write encouraging and thought provoking blogs and use my hobbies to bring others to a closer representation of who God is and who they are in Him. I have never set a goal of raising money so high and that is very intimidating to me but I know God will provide and be working in many hearts along the journey, of financial supporters, prayer supporters, fellow biking buddies, virtual biking buddies, church hosts, local build site volunteers, and those who we get the opportunity to help get into a better living condition! Thanks for reading this and looking into this wonderful organization. I look forward to sharing the experience as I go at my blog bikingstory.blogspot.com. God bless! 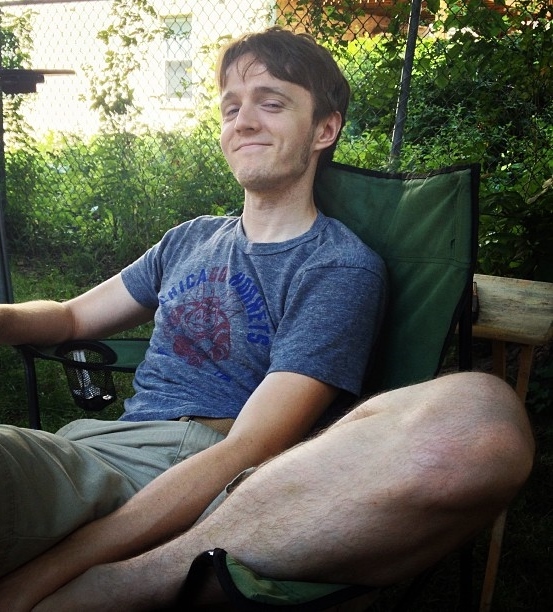 My name is Michael Dmitry Lamorgese, and I am a first year college student at Sacred Heart University in Fairfield, Connecticut. I was born in Russia and lived in an orphanage soon after birth until I was adopted and brought to America by Beth and Michael Lamorgese, the people I now call mom and dad. I have always lived with the mindset of helping others with the life motto of anything is possible if you put your mind to it. God has always been a part of my life. Even when I have questioned my faith, I still knew that god did exist. Although, I just did not understand why he would allow bad things to happen if god wanted everything to be good. Throughout the past year I restored my relationship with god and now I can proudly say that I have a close bond with him. I’ve learned from him that he is teaching us these lessons so we don’t make the same mistakes again. Even though we make mistakes, we are human and that’s what being a human is all about; you live and you learn and the opportunity to fix those mistakes is always there although it may seem like it isn’t always that easy. As we make mistakes, it results in consequences which can lead to loosing a job, friends, family, or even shelter. Being such an adventurous young man with great faith in god, I feel as though anything is possible and I would like to give to those in need who may have made a mistake that left them without shelter, giving them some light in the right direction. The opportunity to be able to do my favorite hobby, riding my bike, across the country, while helping those in need and all of this being with faith-driven folks seems as though it’s not just my calling but an opportunity of a lifetime as well. Majority of 18-year-old males at college would enjoy something such as playing videogames or making extra money for the upcoming school year, while I see this as my time to shine and help those that aren’t fortunate enough and need someone to lean on. My name is Lauryn Kostopoulos and I am a first year college student at Sacred Heart University and I would love to have the opportunity to travel from coast to coast on my bike. I have always wanted to do something crazy so that I could have a story to share. This would make for a great story to tell. I am someone who is an avid volunteer in my community. I have helped with many events ranging from a toy drive during the Christmas season to helping with an annual bingo night for kids. I take great pride in being able to help others, but especially those in my community. This would be a great opportunity for me to be able to be able to do some volunteer work, but to also be able to do it outside of my community. I’ve always wanted to go on a mission trip to go build houses, but never have. 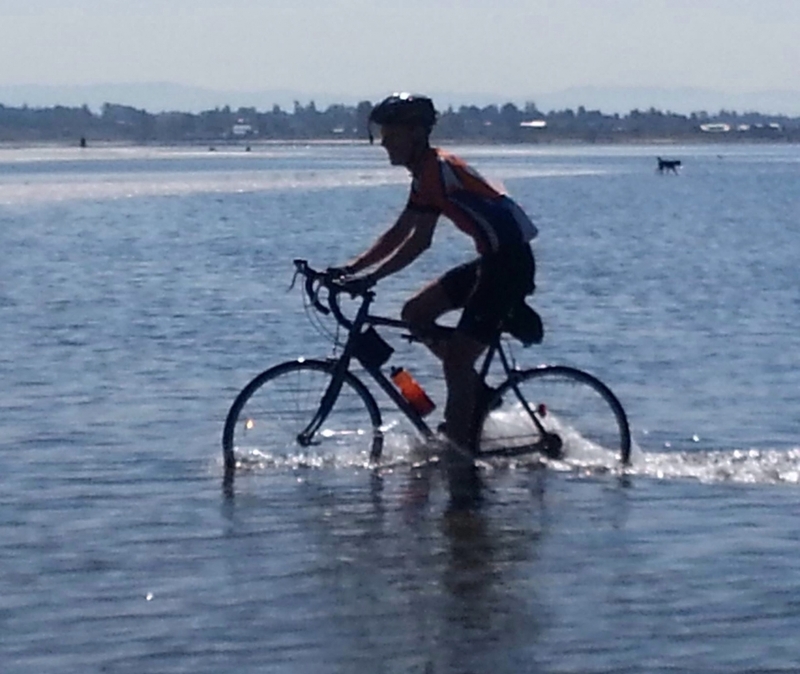 This would be the perfect opportunity to not only help build houses but bike coast to coast! This trip would provide me with the best way to give back to those throughout the country. It’s always nice to do stuff in your own community, but to be able to do it in many states is just amazing. We are able to help complete strangers better their life. Just knowing you are able to help one person and to see how much it truly means to them is the world and I would love to be just one of the many people to make that difference. I have never been one who puts all my faith into God, however I believe that while on this trip i will be able to better connect with God. This will give me the chance to meet some great people and become closer to the church and all the good that comes from it. I do however believe that this trip was meant to be and I would not be able to accomplish it without God. This is a once in a life time opportunity for me and I would love to do it while I’m young and with my friend Mike. We have put in so much work to do this and to say we biked cross country would just be an amazing thing to say. It will make for a great story and an even better memory. "Live while you are young" This is something I live by and this is exactly what I am going to do this summer while ridding across the country! 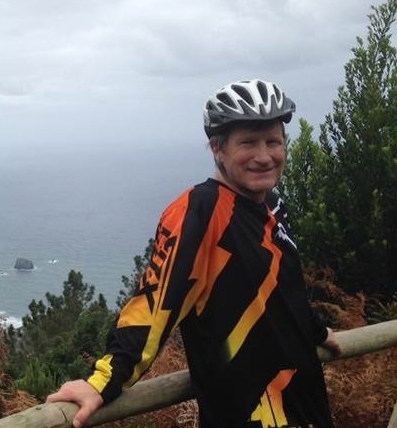 Born Scottish, now living and working in Oz and an Australian citizen, I’m a keen recreational cyclist doing on average 100kms per week (I alternate my leg exercise with kayaking). 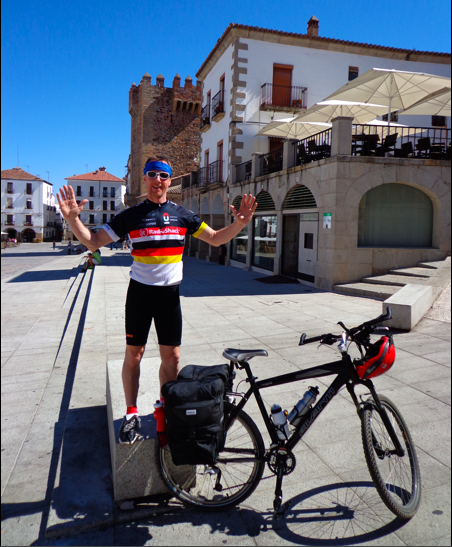 Previously I’ve cycled the GreatVic Bike Ride in Oz (560km), and also cycled La Ruta de la Plata (1100km) one of Spain’s ‘Camino de Santiago’. Coast to coast for a cause will be my biggest challenge yet and it just calls me and feels right, from a win-win point of view. My name is Jennifer and I love the idea of being with others who will start their day with praise/worship and prayer followed by bike riding and volunteer work along the way. I enjoy helping others in need. 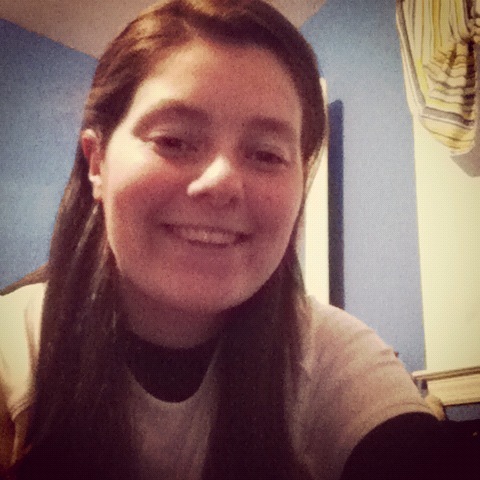 My name is Lindsey Giles and I am an Occupational Therapist. 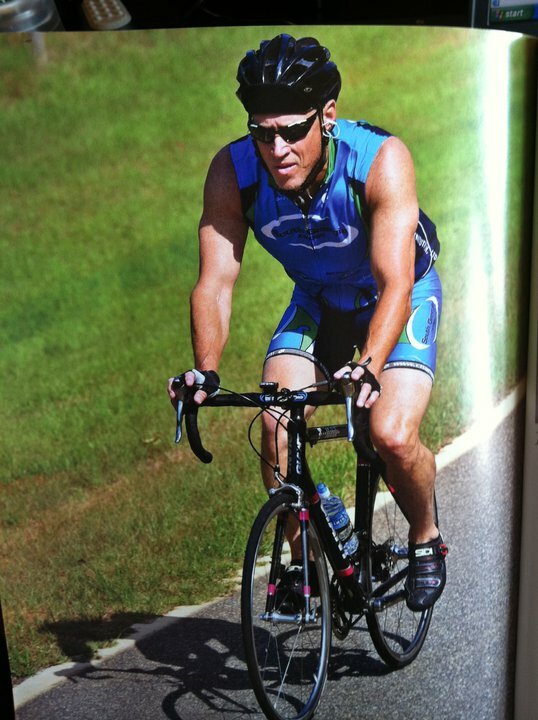 I first learned about the Fuller Bicycle Adventure approximately two years ago after completion of my first Ironman. While talking with my father one day he asked me, "Well, Lindsey, what are you going to do now…ride your bike across the country." I, of course, stated, "you know that is a great idea!" Hence where I am today. My father, however, passed in January 2013 and I now feel more inspired to conquer this amazing adventure. Not only do I get the opportunity to see the United States from the best seat but help people as well as meet and make new friends. I could not be more excited (okay, so maybe a little nervous) about joining all the other riders as we embark on this wonderful journey. Thank you to all my loved ones who have supported me to get to where I am today! 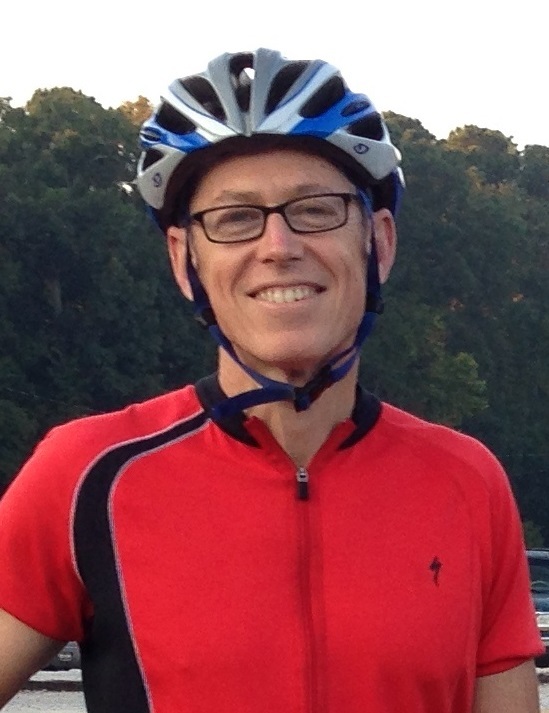 Hi, I’m Dave from Augusta, GA. I’m excited about this opportunity to ride for the Fuller Center. I’ve been reading online about how this housing mission has been helping so many people, and I want to lend a hand. I really enjoy cycling. Combining a faith based mission with a cycling adventure is great, and I’m looking forward to the challenge. I live in Bluffton, OH. I have been a part of disaster relief housing projects through my church. I have witnessed the value this service has in improving someone’s life. This opportunity with the Fuller Center for Housing provides a chance to spread that mission further. The biking is just icing on the cake! Hi, my name is Lindsay. I teach second grade in Northwest, Ohio. I grew up in a Christian home and then attended a Christian college. I enjoy sports and staying active. To motivate myself in my day to day workouts, I like finding different types of races to compete in. I have been able to run in 5Ks, a Tough Mudder, a triathlon, bike races, and now looking forward to this bicycle adventure. Riding with the Fuller Center last summer from Savannah, Georgia to Montgomery, Alabama was a rich and rewarding experience. 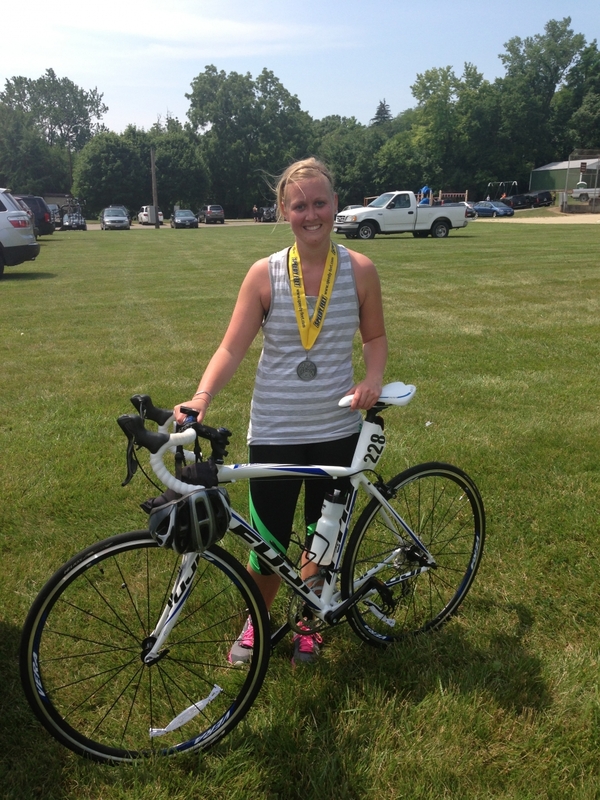 It was a beautiful way to combine my love for cycling with my desire to serve others. This year I am signing up to ride with this mission team all the way across the country!!! The goal of the entire ride is to raise awareness and funds for The Fuller Center for Housing. One of the ways the team accomplishes this is by stopping once a week or so to spend a day off of our bicycles to repair homes or help build them. While it is tough to spend our days off the road doing manual labor instead of just simply resting, it is also one of the most rewarding parts of joining the Fuller Center’s efforts to help alleviate poverty housing. As I volunteer to join this team I am committed to raising $3600 for the Fuller Center. 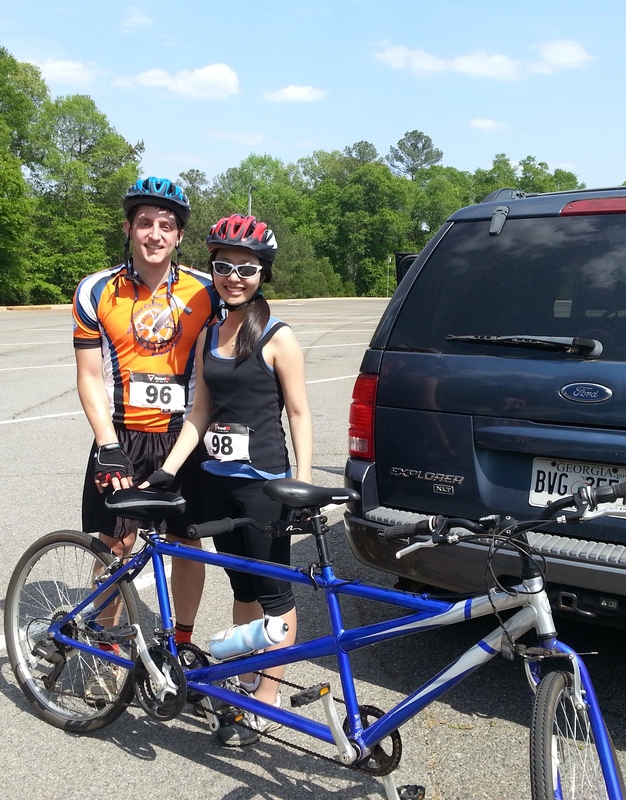 Please consider supporting the Fuller Center by donating to them through this bike adventure. Having experienced the ride last year I can attest to the fact that the vast majority of your donation will go directly to home building and restoration. The cycling team does not spend much money at all on the trip itself. We sleep for free in churches as we make our way cross country, are fed by the congregations for most of our meals, our showers are in local gyms or the homes of local people, the support vehicle drivers are volunteers, and the Fuller Center staff themselves are the most humble and frugal people I have had the pleasure of serving with! Riding my bike has been a great stress reliever for me during much of my adult life. This country girl lived in a city of over a million people and my regular rides out in the countryside helped me keep my sanity. Several years ago I went on a self-supported 10 day ride with 3 friends. It was a hard trip but also lots of fun and I’ve wanted to do another long ride since then. For the past two years I’ve been studying occupational therapy at the University of Minnesota and I have spent far to much time sitting at my desk staring at a computer screen. I will finish all the requirements of the program one week before I plan to join this Bike Adventure. Combining lots of pedaling with some manual labor that benefits others sounds like a wonderful change of pace before I can take the licensing exam in August. Hi! My name is Lindsey Bawcom and I live in Nashville, TN with my husband and our two pugs, Denver and Titan. I’m an elementary special education teacher and absolutely love it! 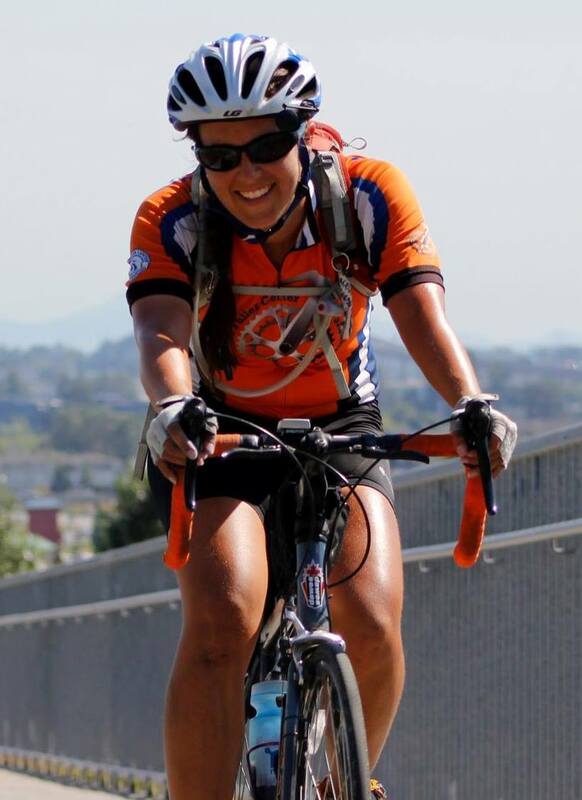 Because of my job, I am fortunate to have the summers off…biking is one of my favorite things and I started doing some research on bike adventures and came across this organization. I started reading about what it is they do and help with and wanted to be a part of the movement right away. I truly believe in the work that this organization does and I think it’ll be a lot of fun to help build/repair others’ homes and know that they’re taken care of! 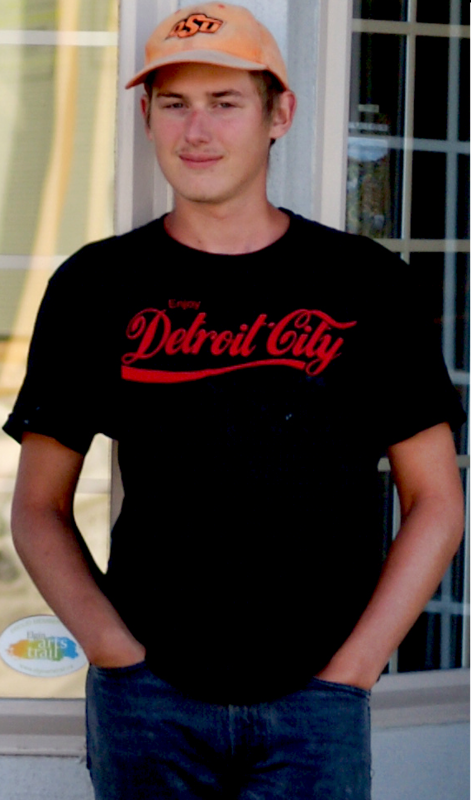 Hi, my name is Mike and I am from Anchorage, Alaska. I enjoy cycling and last year got my first taste of long distance touring on a 10-week trek across Canada. I look forward to this trip, to see the country at 13-15 mph, to meet new friends, and to help build housing for those in need. 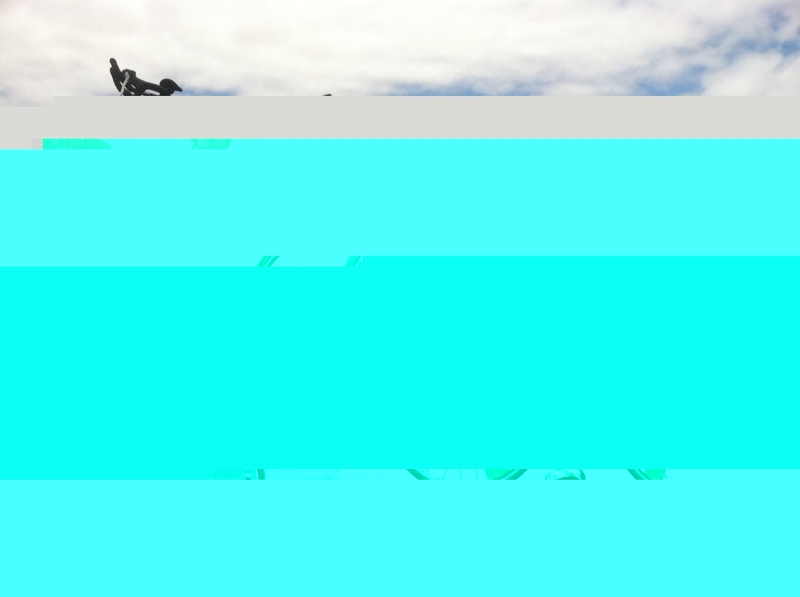 I’m an avid cyclist who competes in Mountain Bike and road races. But Cyclocross is my favorite time of year. In the past I participated in Ultra Endurance events including the 2002 PAC Tour transcontinental. I have ridden 5 years on the annual multi day "Ride for Missions" supporting Rosedale Mennonite Missions. 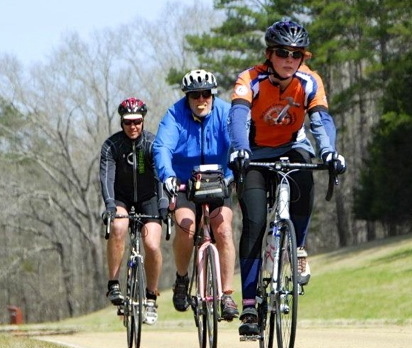 In 2013 I rode with the Fuller Center Bicycle Adventure on the Spring Ride and whole way Summer Ride. The chance to ride and serve others appeals to me. Sure to be an adventure! Married to my wonderful wife of 37 years. We have two grown children. I volunteer at our local bike shop and ride both mountain and road bikes. I wasn’t planning on participating in this ride for the second year in a row, but I just couldn’t resist. Last summer I joined the FCBA for the last five segments and had the greatest experience of my life. Seeing all that the Fuller Center has accomplished and how far the Bike Adventure has come in such a short time opened my eyes to a greater meaning of life. All of the lives that we touched along the way and all of the generous people that opened up their churches, schools, and even homes for us really changed my perspective about a lot of things in a positive way. I learned so much about myself along the way, and met some of the most wonderful people. Every day was a different adventure. We all somehow found the strength within us day after day to keep going. I feel like God has given me another chance this summer to be apart of the great work that the Fuller Center does and there is no way I am passing up this opportunity. I look forward to seeing what this trip has in store for me for a second year in a row! Last year I was a whole way rider. There is something about the Fuller Center Bike Adventure’s message that brought me such meaning and purpose that I am back for more! This year I want to support my local Fuller Center in Indianapolis. I am a first year Occupational Therapy grad student at the University of Indianapolis. I have a passion for service and a smile that keeps me going with the flow. This is my last summer vacation as a student, so I want to make it one to remember forever. I cannot wait to be reunited with old FCBA pals and meet the new riders! I have always liked to ride bikes and motor cycles. 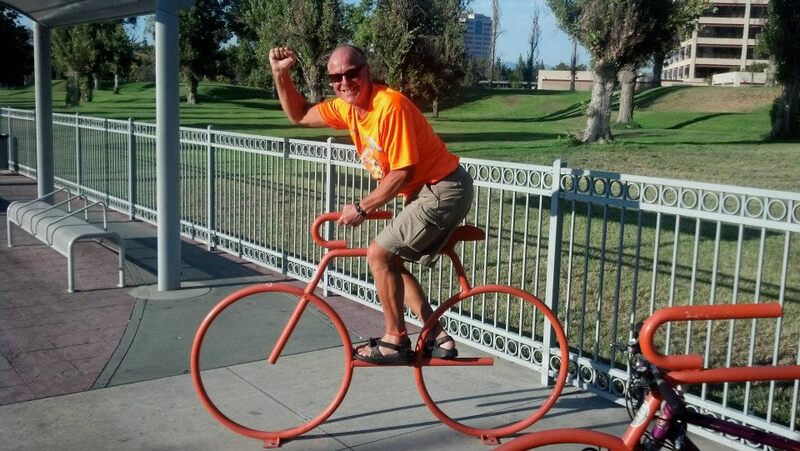 When I heard about the Fuller Center Bike Ride a few years back I made the comment to my brother in-law that I would like to do a Retirement Bicycle Ride. 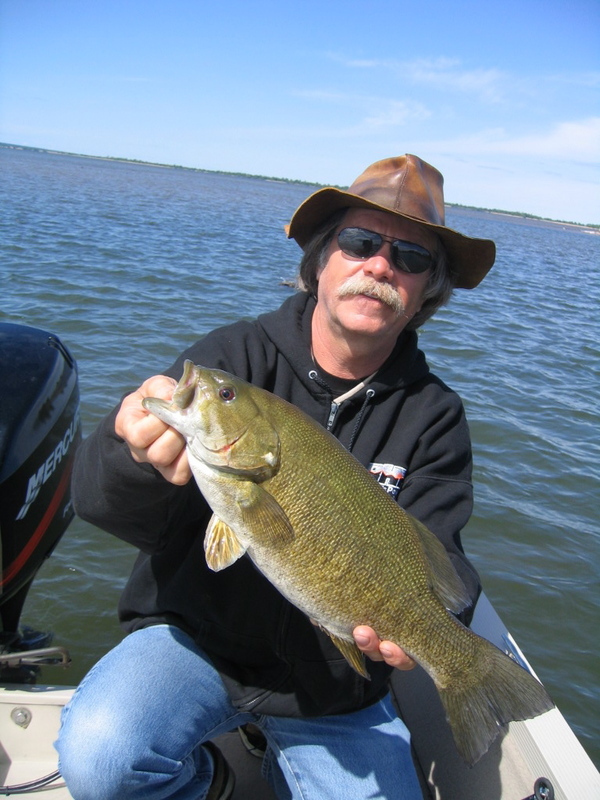 The ride is passing through South Dakota and I’m retired now so the opportunity is here for my ride. This will be my first long distance ride. I do ride in the Black Hills most of it was after work as a stress relief. I have worked on a few Carter Projects through Habitat for Humanity in Canada, South Dakota, Washington DC and Los Angeles. Yes I am back . As we traveled through Idaho and Utah last summer I was struck by the sheer dedication of my fellow riders as well as the people we came across who offered their hospitality to us. In allowing us to stay in their homes, churches and even in a high school gym overnight, this gave me an insight into the human spirit that you only see in books or movies. Another key aspect was that everyone on our team pitched in. If the riding director needed work to be done, it got done. Whether it was washing clothes, packing up the travel van, getting up early to prepare breakfast, or trailing the last rider to offer support and make sure they got back safely, it got done. I liked this. So although you see my back in this photo, the real picture is my hands are outstretched to help and to embrace this world we live in. I look forward to returning to this journey once again and to be around such great folks and to help where I can. Side Note: As we were riding our bikes, we came across an elderly lady who had fallen in her driveway and couldn’t get up. A friend and I stopped and offered aid until our team van came and the Emergency response team arrived. We took the time to help (she had been out there for almost an hour trying to get passing vehicles to stop). We found out later that she had survived from her ordeal but ended up with a separated shoulder and a broken leg. Now that’s what its all about – helping others in need who need a helping hand. I started riding when I was over 60 since that time bicycling as become a passion of mine. The reason for joining The Fuller Bike Adventure is two reasons: the first being able to ride with my daughter Alice and second being able do a ride with a purpose that Fuller has. Two of my passions are CYCLING (in and around Calgary’s Rocky Mountains, as well as exploring countries around the world) and VOLUNTEERING (with organizations that build homes for families in need, locally, and in the global village). So, when I learned of the Fuller Center Bicycle Adventure that combined two of my passions in one adventure, I jumped in! What a package! For the past several years Geezerman (Tom Weber) has continually shared about the great mission of Fuller Center with anyone and everyone who will listen. I’ve heard him discuss FCBA many, many times and have decided to join this summer’s adventure as a support person. I’m looking forward to sharing the summer with all the other adventurers. Oh, by the way, I’m married to Geezerman. Hi, my name is Laurence Foshee. In 2012 I went alone on a 1600 mile biking and walking trip from Tulsa, Oklahoma to Toronto, Canada. I’m joining up because I miss the old days of biking a long distance and would like to do it for a good cause and with a group – and the Fuller Center for Housing seems great. I would like to assist the Fuller Center in reaching out to those in need of housing – I have had friends that in times were in need of housing and would like to be a part of a ministry that does this kind of work. Hi, my name is Kristina Bergstrom. I am very excited to meet everyone and join the ride as the communications intern this summer! Hey, I’m Arron! How do you do? I’ll be attending Wesleyan University next fall as a freshman, unless I get my acceptance rescinded or decide to take a gap year or something like that. 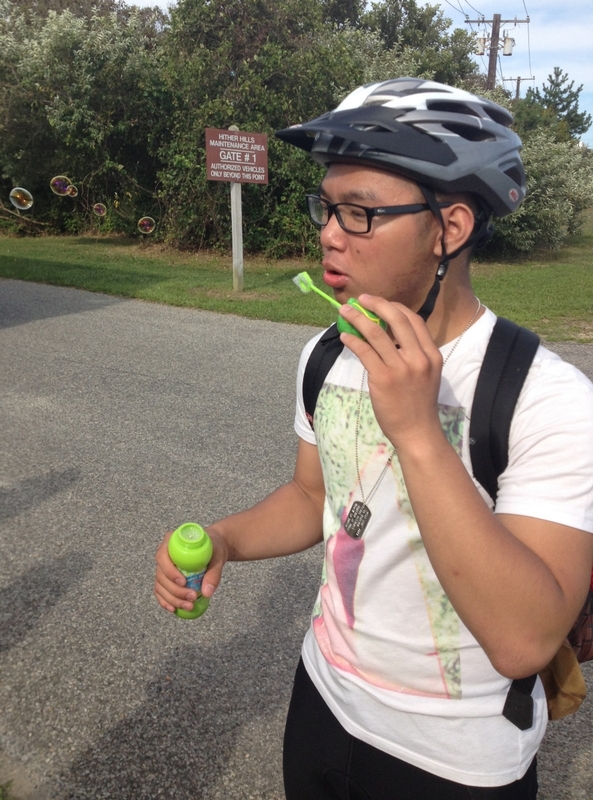 I like to blow bubbles, read, and ride my bike. Because of that last one, I had wanted to join the Fuller Center Bike Adventure last summer, but other plans made me do otherwise. At various times growing up, I’ve wanted to be a firefighter, a writer, a pianist, a voice performer, an astronomer, an autism/Alzheimer’s researcher, a forest ranger, a journalist, and a teacher, but this summer, I’ll be a cyclist for affordable housing. Every experience one has is a formative one, and this is one I’m glad to be able to have – I am glad to be able to do what one loves in the service of others. I am a 63 year old husband, father of two grown sons and a new grandfather. I have been cycling regularly for 30 plus years. Lots of commuting and weekend road riding plus a little mountain biking. I live in Clarkston, Washington which is just across the Snake river from Lewiston, Idaho – the end point for the segment I am riding. 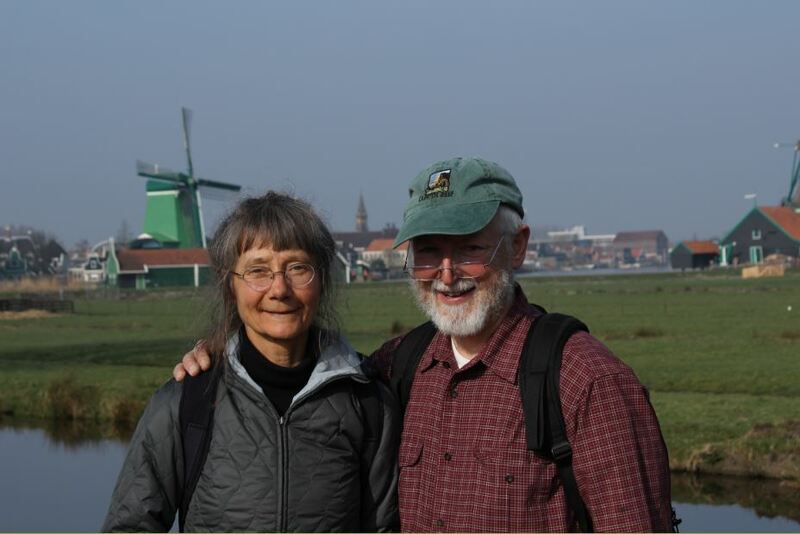 I love to ride and have done short term mission trips in he U.S. and Kenya with my church family – Clarkston 1st Presbyterian – so this trip sounded like a great way to combine both activities. My name is Georgianne Dwyer from Calgary Alberta Canada. My friend Lauire MacAdams and I have done may muti-day road rides together over the last 10 years, and we saw this ride as a great opportunity to combine riding and volunteering, which we both love to do. We will be joining the group for segment 8 from Missoula (which is the closest start point to our home town of Calgary) to Lewiston. We are loooking forward to meeting, riding and working with the other volunteers. We have had a very long and cold winter in Calgary, so we have just started our outdoor training in the last couple of weeks, so have some catching up to do! Hi, my name is John. I am a jeweler by trade and now that I am retired I enjoy honing my carpentry skills.For many years, 35 to be exact, I have had a dream, and a passion, to bicycle across the U.S.A. For many reasons I was never able to attempt it, but at my ripe old age of 68 I am planning to do the first segment in preparation for the trip cross country next summer. 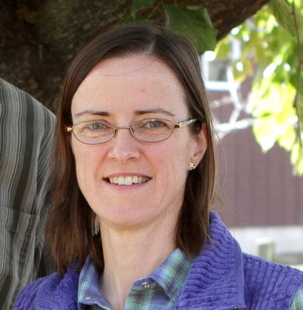 I am backed by a support team of six children and 14 grandchildren and 2 on the way. Returning 2008 Fuller Center Cyclist! Hey everyone my name is Dani! I participated in the very first Fuller Center for Housing bike trip back in 2008. Since then I have graduated college and completed two years in Guatemala as a peace corps volunteer. I have always said if the Fuller Center ever did a Northern route I would have to do it all again. I checked the website on a whim, and low and behold it was my dream route. I constantly talk about the Fuller Center and how great their mission is, and what an awesome experience the cross country ride is. There is no better opportunity to spread the word about the Fuller Center’s mission, raise money for affordable housing, see this amazing country we are all so blessed to live in, and meet some really cool people! I can not wait to participate in my second cross county trip with the Fuller Center! Hello! My name is Jisun. I am a good friend of the founder of the Fuller Center Bike Adventure, Ryan Iafigliola and our leader, Melissa Merrill. I am from Seoul, South Korea, but have lived in America for the past 7 years. I was a college student in Americus, GA where the Fuller Center’s headquarter is located, and moved to Alex City, Alabama after I graduated. I am actually moving back to Americus looking forward to having a wedding in 4 months with my best friend. I have known about the ride for several years and have wanted to join this for a long time. I am super excited that I finally get to join this year, and thankful to God that He has given me this chance to do His work in such a way I will enjoy very much! My Girlfriend, Lindsey Giles, is doing the entire trip and I am doing the last leg with her to celebrate her accomplishment. I am joining the ride to advance my cycling skills and experience, especially on longer rides, while serving God and helping others. I have completed two two-day rides of the entire C&O Canal and about four century rides last summer, plus a two-day, 130-mile ride in North Carolina. 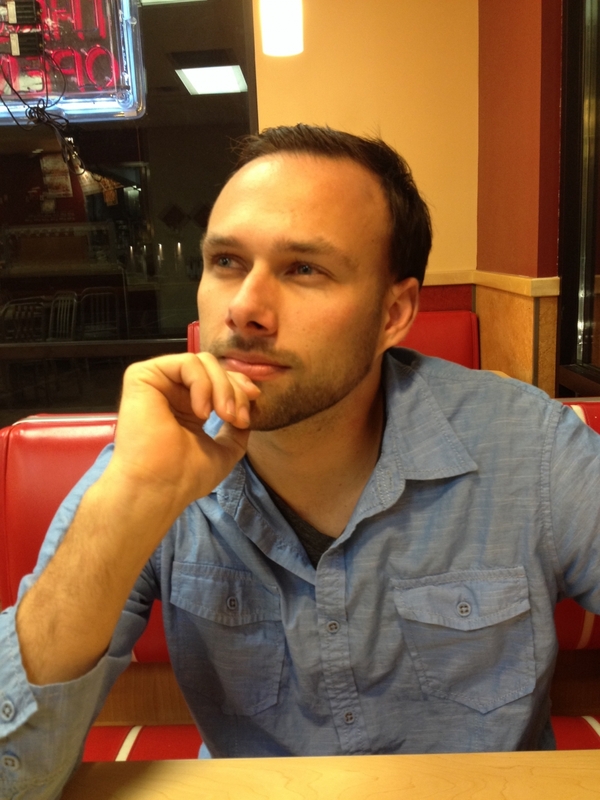 I teach Sunday School, coordinate missions projects, and do other tasks for my church in Damascus, Maryland. I also direct a small health research library and volunteer at a local crisis pregnancy clinic. I have been married for 32 years and have two adult children living in Texas. I am thankful that God has blessed with me with good health and opportunities to enjoy his creation through activities such as cycling, hiking, and kayaking. I enjoy challenging myself physically and spiritually by setting and working toward goals a bit outside my comfort level and look forward to the challenge of the ride this year. of the 2014 Bike Adventure! Just call me the caffeinator. This will be my second ride with the Fuller Center, and I can’t wait to see some familiar faces and meet more new ones. I have been on a bike for most of my life, but I’ve been cycling for fun, utility, and competition for about five years now. I have worked in a bicycle shop (Bikes and More) and I currently help run a local race team (352 Racing). On top of all things bike, I am also rooted in the coffee industry. 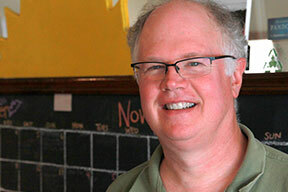 I work at Sweetwater Coffee, which is a friend and partner of Cafe’ Campesino, sponsor of the FCBA. I deliver coffee via. bicycle to local businesses, grocery stores, and restaurants, as well as help produce and sell fair-trade organic locally roasted beans. In short, I can help you with your bike, and I will be making coffee every morning. Super excited for my next Fuller Center adventure. Oyee! I always dreamed of being able to ride long distances on my bicycle. God has had other plans for me. At this time, I am only able to be a Virtual Rider and do my best at spreading the word. I would love to be able to become a year-round Virtual Rider and raising funds for something that means SO much to me.